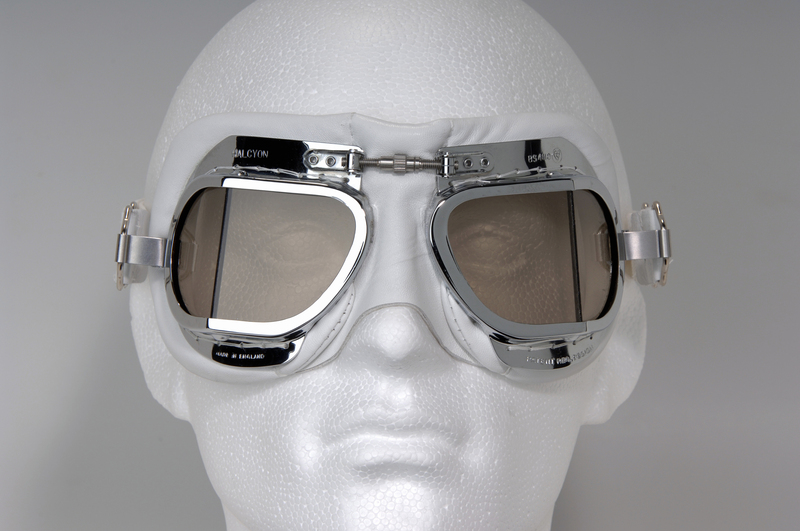 The classic RAF goggles in delux spec with super-comfortable white kid leather facemask and polished chrome frames. 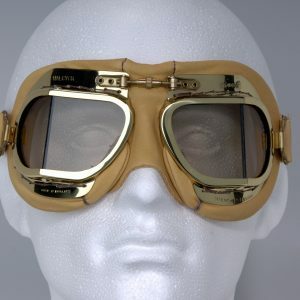 The classic RAF goggles in delux spec with super-comfortable kid leather facemask and solid brass frames. 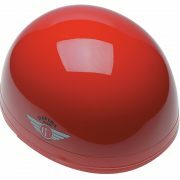 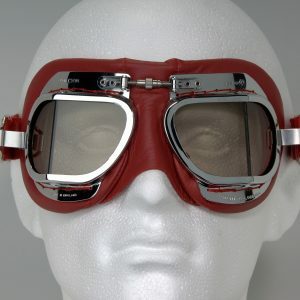 The classic RAF goggles in delux spec with super-comfortable red kid leather facemask and polished chrome frames. The classic RAF goggles in delux spec with super-comfortable brown kid leather facemask and polished chrome frames. 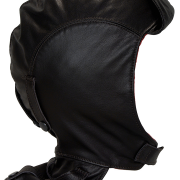 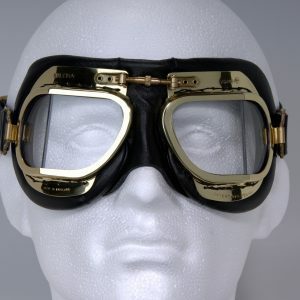 The authentic 1950's motorcycle goggle with super-soft kid leather facemask and matt black frames. 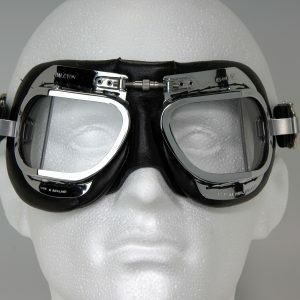 The classic RAF goggles in delux spec with super-comfortable black kid leather facemask and polished chrome frames. 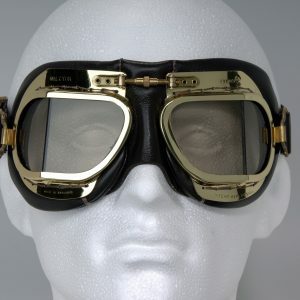 The classic RAF goggles in delux spec with super-comfortable black kid leather facemask and solid brass frames. 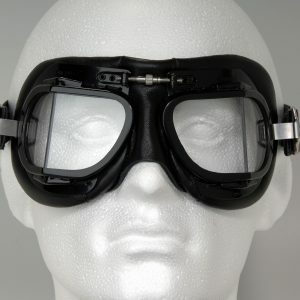 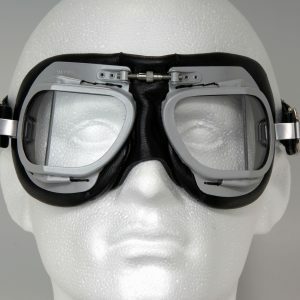 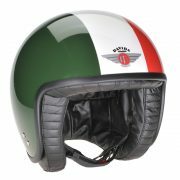 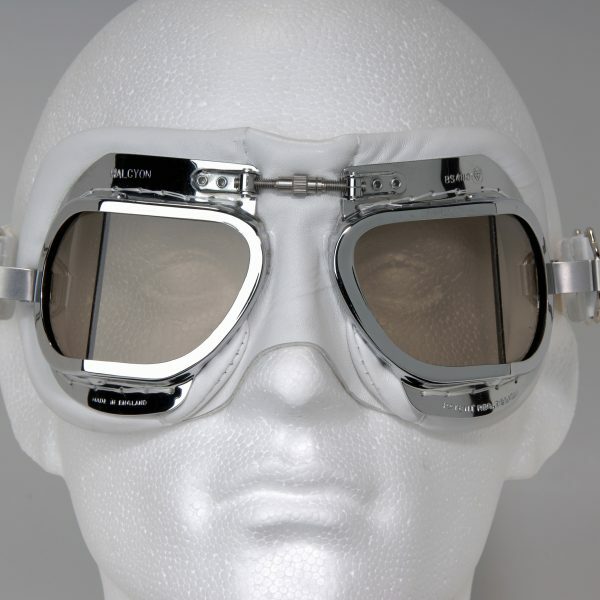 The authentic 1950's motorcycle goggle with pvc facemask and matt silver frames. 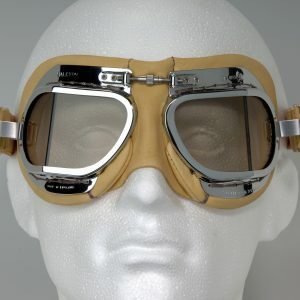 The classic RAF goggles in delux spec with super-comfortable tan kid leather facemask and polished chrome frames.